We are not exactly fans of Shared Data plans that AT&T and Verizon have adopted lately, but the other carriers, Sprint and T-Mobile, are not impressed either. 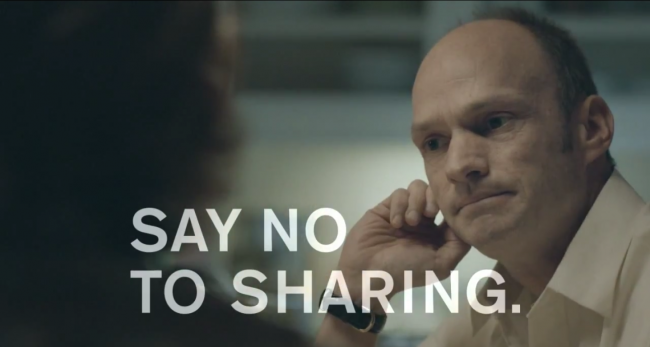 Sprint has long been touting they have one of the last true unlimited data plans in the country and to hammer home that fact they are breaking out a new advertising campaign to remind you that you don’t have to share. We’re not entirely sure of the science behind that statement, but sharing data might call for some unnecessary overages down the road. They are softly nudging you away from conforming with these new plans while pointing out the strengths of their unlimited plans. What they don’t mention is how many LTE cities they have up and running right now, which is under 15. Personally I’m partial to dividing up the data based on most dental work, what do you think?